Choquequirao known as Machu Picchu´s Sacred Sister lies at 3,000 m.a.s.l. in the Apurimac Canyon, one of the deepest canyons on earth. Currently only 30% of the complex has been explored and excavated. The rest of it lies in silence under the vegetation that has kept it untouched for centuries. 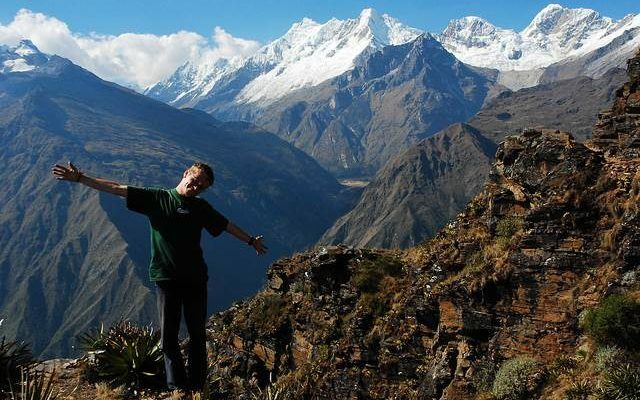 On our way in the challenging and exciting Choquequirao trek, we will discover great mountains, pass through terrifying cliffs, and see impressive peaks and the spectacular Apurimac river canyon. Upon arriving to Lima`s Airport, reception by a Peruvian Soul representative and transfer to your hotel in Miraflores, where you are free to relax and wander around at your own pace. Depending on the arrival time we have plenty of suggestions for you so you can make the most of your first day in Lima. After an early breakfast we have a short drive to the airport to take our 55 minutes flight to the city of Cusco. If possible we will try to get a seat on the left side of the aircraft as some of the best views of the Andes can be seen by this side of the aircraft. Upon arriving at Cuzco airport, we will be met by a Peruvian Soul representative who will welcome us and take us on our private transport towards the Sacred Valley Incas. Because of its lower elevation (2,870 meters above sea level or 9,415 feet) and its peaceful atmosphere, the Sacred Valley is the perfect place to enjoy your first days in Cusco as you adapt to the high altitude. On the way to our hotel we`ll stop at Awanacancha, where we can see all the different camelids of Peruvian Andes, and at the traditional Indian market of Pisac, a cozy quechua village, where we shall be able to appreciate many native customs and observe innumerable local products. Sunday is the best day to visit the market because farmers come from all over the region to trade their products, however the market is open everyday and is still a very interesting place to visit. Once in our hotel where we can relax and enjoy it`s facilities during the rest of the day. This morning we`ll set off on a tour to visit the Sacred Valley`s most impressive sites. First we`ll reach Moray, one of the most unusual Inca sites, which seems to have been an agricultural experiment station to adapt crops to different temperatures. Then we continue to Maras, an impressive complex of salt extraction used since before the Inca time. After this, we`ll travel to Ollantaytambo to visit it`s impressive Inca Fortress, which holds some of the best examples of Inca architecture. Finally, we`ll enjoy lunch at a local restaurant while waiting to board the Expedition Train to the town of of Aguas Calientes (Machu Picchu). Upon arrival, reception and then we`ll be transferred to our hotel. The rest of the afternoon we`ll be free. Today is the big day! After an early rise, we take a bus up the steep zigzagging road to Machu Picchu located on an impressive mountain setting. Once at the citadel we take a private guided tour to explore every corner of the “Lost City of the Incas” and after we will have some free time to continue exploring the citadel at our own pace or, if you wish, we could hike up Huayna Picchu or Machu Picchu Mountain for spectacular views of the Citadel and it`s surroundings (these hikes can be included upon request, please inquire about additional price). There will be free time for lunch and in the afternoon, we`ll descend back to Aguas Calientes to board the return train to Ollantaytambo or Poroy Station, where we`ll have a private transport waiting to take us back to Cusco. We leave Cusco, heading north on the main highway towards Abancay leaving the city behind, we will see breathtaking views of mount Salkantay and Humantay at first. As you leave this high meadow area, the Pitusiray, Chicon and Veronica snow capped mountains come into view. Once you begin to go down into Limatambo, if time allows we will visit the Inca site of Tarawasi. The road continues until you reach the Apurimac River, where you will cross its impressive gorge. Past the village of Curawasi, you will find the stone of Sayhuite and its carved map, which believed to be that of the Inca Empire. A small side road over a ridge brings us down to the village of Cachora, where you start today’s hike. Taking our day-packs, we start walking along the edge of the Capuliyoc Mountain, where we get our first view of the Apurimac Canyon and the trail that lies ahead. A few hours later we arrive to Chiquiska where we spend the night. After breakfast, we continue our descent, appreciating the beautiful views of the Apurimac Canyon until we arrive to the height of 1495 m, where we will find the famous Apurimac River Bridge. After crossing over the high, hanging bridge, which makes for a memorable moment, we will have 4 hour climb on the other side to Marampata, where we will have our Lunch for the day. In the afternoon, we will take a gorgeous final walk to the archaeological site of Choquequirao. We will be hoping to arrive just in time to enjoy the incredible crimson sun dipping into the jagged, snow-capped mountain peaks. We will set up our camp and have our dinner nearby. We will enjoy a well deserved rest that night in the mountains (3000 m). This morning will be dedicated to the exploration and guided tour of the archaeological remains of Choquequirao, which is still being excavated (only about 30% of the site has been already discovered). Then, we have the option to visit to the Casa Cascada (“Waterfall House”) which sits about 300 m below Choquequirao. 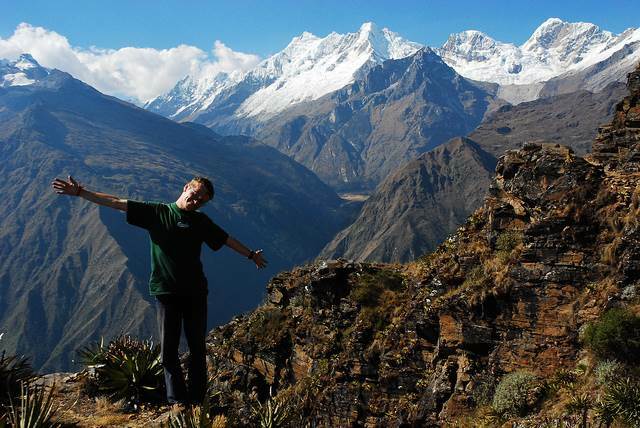 From the highest point, we will appreciate some stellar panoramic views of Choquequirao. After lunch we will need to begin the return journey to Marampata where we will rest for a while before continuing to the Apurimac River and finally to Chisquiska for were we will set our last campsite. We will have our last breakfast of the journey before beginning an ascent to the last, and highest, pass of the trek, Capuliyoc Pass. We will walk for approximately 2 hours more to arrive to our destination, Cachora. Our transport vehicle will already be there waiting to take us back to Cusco, where we will arrive to at about 7:00 pm. Mountain tent for two, mattress, kitchen dishes, kitchen tent, dining tent, toilet tent, table and chairs. Horses for the whole camping equipment, including personal luggage.